@HemlockKing okay, so I used a background that had skulls, but you can't really see them because of the journal. I added flowers and darkened the background up along with lowering the vibrance. 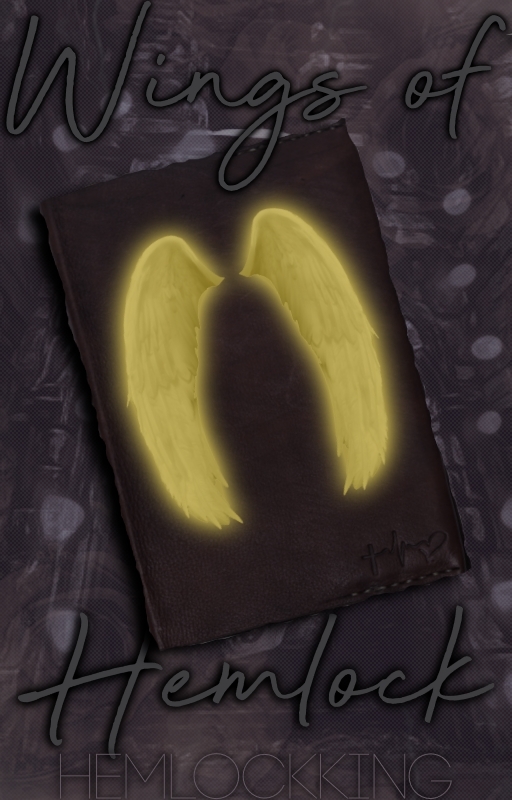 I shaved off some of the journal to give a weathered look then added the wings and made them gold. I hope you like it! SUBTITLE*: " Cross my heart, when will we depart? " INSPO/IDEAS: I would like a picture of a girl with light brown or dark hair with a cloak on, showing her face and if it helps, she has blue eyes. Or you could do a male with long black hair with a streak of red covering his eyes, with chains around him. ANYTHING ELSE? : The cover is supposed to be symbolized around death and judgement, like skulls, a pair of eyes could work, things that symbolize death and judgement. Would you want me to use the images you provided? I’m having a hard time finding other images, so the ones you provided are fine? INSPO/IDEAS: some photography of a girl semi submerged, like ophelia from shakespeare, or having a girl running away, in a dark forest, or just a black rose or smth. ANYTHING ELSE? 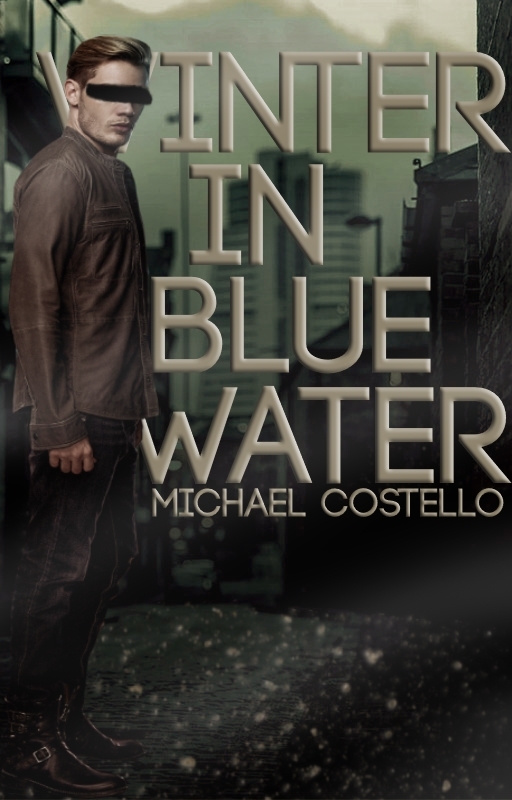 : I would love it if the cover could be dark yet elegant? If that makes sense? Like, some cursive if it fits. If this doesn't work, don't worry too much about it. Also I don't mind if you don't use the subtitle. Also, giant melons. I’m going to have your cover done tomorrow if that’s okay? IMAGES: https://images.app.goo.gl/HKxPjoTWbdzUsn3D6 let me know if i need to find a different photo! [ ACCEPTED ] @Seliriah okay, so you're wanting a simple cover with the photo you provided? Can do! What kind of border are you wanting? 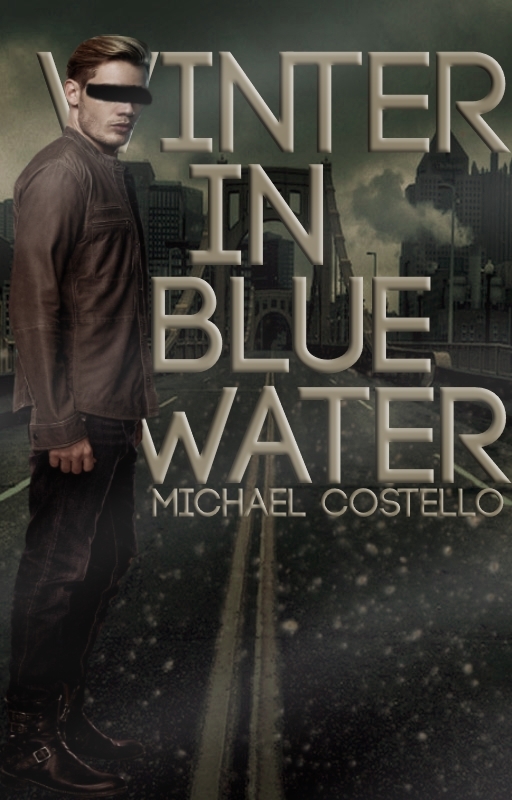 Like around the whole cover or just around the title? Or should I just go with the flow? I hope I can do your cover justice. It'll be done tomorrow if that's okay! You can go ahead and complete the payment which is an honest comment on my story, The Beard. It's linked under the rules. When you say edit it, do you mean you just want me to change the title on this one? I don’t like the background or the signs in the corner honestly just the whole background if you change that to like a main street with older buildings and such that would be amazing! Oh btw read the first chapter of your story and genuinely enjoyed it ill definitely be reading more! I can try. You’ll have to be readded to the queue though, okay? I also make no promises. Since there’s already a texture on top of the guy, I won’t be able to remove the gritty look off of him, but I’ll do my best! again honestly not a problem if you cant this is my first story so I just wanted the cover to be nice and im really sorry if im being overly picky or annoying in any way.